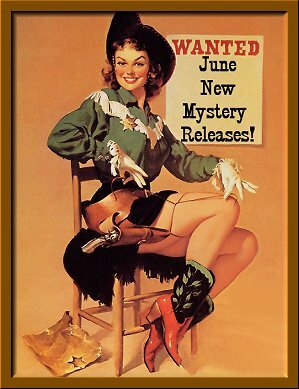 June 2011 New Mystery Releases! With the beginning of June, we've moved right into my prime season for reading. Nothing beats reading in the shade out by the pool with a cold drink close at hand. Beautiful sky, flowers, birds singing, fresh air, sunshine, cool water, and books-- wonderful books. I can't ask for much more than that! Another thing that's so exciting about June is that there are tons of good books being published, and I have the pleasure of sharing with you the ones that I am anticipating. The titles are grouped by release dates, and I've included the information you'll need to find them at all your favorite book spots. I hope you're looking forward to reading one or two of these titles outdoors in beautiful summer weather, too! 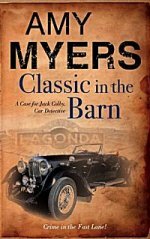 Classic car enthusiasts will relate to Jack Colby, the appealing hero of this series debut from British author Myers. During a walk in the Kent countryside, Jack spots a possible project for his classic car restoration business, "a dark-blue 1938 or '39 V12 drophead coupé Lagonda," tucked away in a barn. He's confronted by the owner, widow and former news anchor Polly Davis, who rejects his offer to restore the vehicle. Jack's later efforts to court Polly romantically are cut short by her murder. 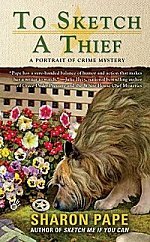 At the request of Polly's grown daughter, Bea, Jack brings detecting skills acquired helping the police with auto theft cases to bear on finding the killer. 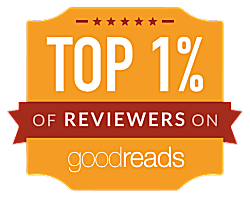 Readers, even those neither interested nor versed in the lead's field of expertise, will enjoy this lively, fast-paced mystery and look forward to the sequel. 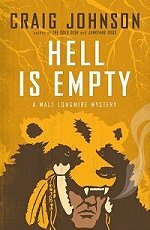 Well-read and world-weary, Sheriff Walt Longmire has been maintaining order in Wyoming's Absaroka County for more than thirty years, but in this riveting seventh outing, he is pushed to his limits. Raynaud Shade, an adopted Crow Indian, has just confessed to murdering a boy ten years ago and burying him deep within the Big Horn Mountains. After transporting Shade and a group of other convicted murderers through a snowstorm, Walt is informed by the FBI that the body is buried in his jurisdiction-and the victim's name is White Buffalo. Guided only by Indian mysticism and a battered paperback of Dante's Inferno, Walt pursues Shade and his fellow escapees into the icy hell of the Cloud Peak Wilderness Area, cheating death to ensure that justice-both civil and spiritual-is served. Dee Carmichael, lead singer of the pop sensation The Flamingoes, has been one of Brett Kavanaugh's most dedicated customers at her tattoo shop. When Dee is discovered dead surrounded by ink pots and needles, Brett is branded a suspect. Threadville has everything - a fabric store, yarn shop, notions store, quilting boutique, and Willow Vanderling's brand new shop, In Stitches, a hit with tourists eager to learn embroidering in the latest way, with software and machines. But when the village's bullying zoning commissioner picks a fight with Willow and turns up dead in Willow's yard, the close-knit community starts unraveling at the seams. 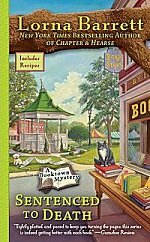 As the owner of Stoneham, New Hampshire's mystery bookstore Haven't Got a Clue, Tricia Miles can figure out whodunit in the latest bestseller long before she gets to the last page. 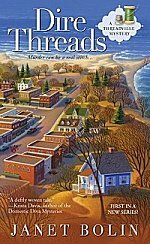 But when her friend is killed in a freak accident, Tricia must use her sleuthing skills to solve a murder mystery that promises to be much more sinister than the books on her shelves. 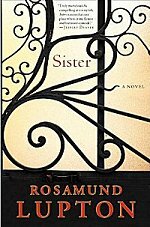 In 1904 Edna Ferber is a nineteen-year-old girl reporter for the Appleton, Wisconsin Crescent, an occupation that many townspeople, including her own family, consider scandalous for a proper young girl. By chance, she interviews Harry Houdini, in town visiting old friends. Houdini, as Ehrich Weiss, spent his boyhood years in the small town. 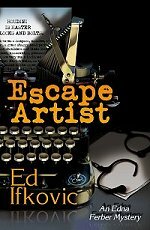 When Frana Lempke, a beautiful young German high-school girl, disappears and is soon discovered murdered, Edna asks Houdini for help in solving the murder. When her mom calls to tell her that Tess, her younger sister, is missing, Bee returns home to London on the first flight. She expects to find Tess and give her the usual lecture, the bossy big sister scolding her flighty baby sister for taking off without letting anyone know her plans. Tess has always been a free spirit, an artist who takes risks, while conservative Bee couldn’t be more different. Bee is used to watching out for her wayward sibling and is fiercely protective of Tess (and has always been a little stern about her antics). But then Tess is found dead, apparently by her own hand. Bee is certain that Tess didn’t commit suicide. Their family and the police accept the sad reality, but Bee feels sure that Tess has been murdered. Single-minded in her search for a killer, Bee moves into Tess's apartment and throws herself headlong into her sister's life--and all its secrets. 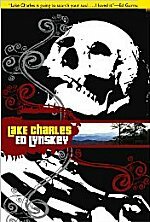 After a stray dog named Hobo leads former police sketch artist turned paranormal private eye Rory McCain back to his owner's corpse, she finds herself involved in another homicide case-- not to mention the new owner of a lovable pooch which makes Rory's ghostly partner, Zeke, more than a little spooked. 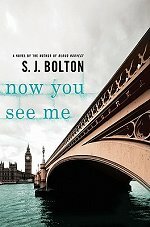 One night after interviewing a reluctant witness at a London apartment complex, Lacey Flint, a young detective constable, stumbles onto a woman brutally stabbed just moments before in the building’s darkened parking lot. Within twenty-four hours a reporter receives an anonymous letter that points out alarming similarities between the murder and Jack the Ripper’s first murder—a letter that calls out Lacey by name. If it’s real, and they have a killer bent on re-creating London’s bloody past, history shows they have just five days until the next attempt. 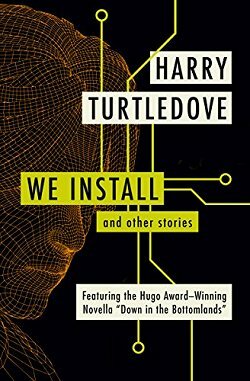 No one believes the connections are anything more than a sadistic killer’s game, not even Lacey, whom the killer seems to be taunting specifically. However, as they investigate the details of the case start reminding her more and more of a part of her past she’d rather keep hidden. And the only way to do that is to catch the killer herself. The Slabaugh family are model Amish farmers, prosperous and hardworking, with four children and a happy extended family. When the parents and an uncle are found dead in their barn, it appears to be a gruesome accident: methane gas asphyxiation caused by a poorly ventilated cesspit. But in the course of a routine autopsy, the coroner discovers that one of the victims suffered a head wound before death—clearly, foul play was involved. But who would want to make orphans of the Slabaughs’ children? And is this murder somehow related to a recent string of shocking hate crimes against the Amish? 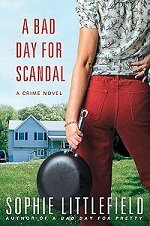 Having grown up Amish, Kate is determined to bring the killer to justice. Because the other series of attacks are designated hate crimes, the state sends in agent John Tomasetti, with whom Kate has a long and complex relationship. Together, they search for the link between the crimes—and uncover a dark secret at work beneath the placid surface of this idyllic Amish community. When Prosper homegirl turned big-city businesswoman Priss Porter returns to town with a body in her trunk, she calls Stella Hardesty to dispose of it. Her uppity ways don’t convince Stella to take the job, and Priss attempts to blackmail her with a snapshot of Stella doing what she does best: curing woman-beaters by the use of force. Stella refuses to cooperate and goes home, only to hear later that Priss and her brother, Liman, have gone missing after calling in a disturbance. Stella is implicated when Sheriff “Goat” Jones discovers the scarf she left behind at the house. He warns her to stay local but Stella and her partner, Chrissy Shaw, go looking for Priss in Kansas City, where they discover that she runs an unusual business. When Priss herself—along with two other bodies—turns up in a pond belonging to one of Stella’s ex-clients, Stella must investigate a host of suspects, including a crooked but libidinous female judge, a coterie of jealous male escorts, and a Marxist ex-professor. As a kid, Kevin ''Hatch'' Easter never had it easy, growing up half Seneca Indian in a mostly white society. 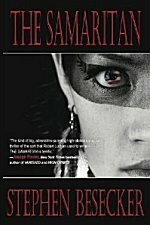 Following the tragic death of his parents when he was only nine, Hatch found himself living on the Cattaraugus Indian Reservation with his shaman grandfather. But as an adult, he's found a job he believes in--tracker for the Central Intelligence Agency--and a wife, Karen, he cherishes. That life is shattered on a hot August night in New York City when a mob collection gone wrong leaves three people dead, Karen Easter among them. Just a few days later, police find the gunman dead, the murder weapon on him, and the criminal case is all but closed. Except someone doesn't buy it. Someone thinks the guilty parties are still out there. And that someone wants revenge. Now, a highly professional hunter stalks the streets of New York City, taking out anyone who may have had a hand in the murders. As the city threatens to descend into all-out war, one question is paramount: Who is the hunter killing the killers, and how can he be stopped? 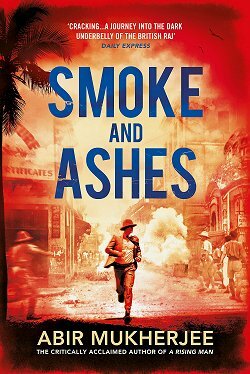 Ed Lynskey, one of the most acclaimed modern crime noir authors, returns to the Smoky Mountains with a new hardboiled tale of murder, passion, and intense action. 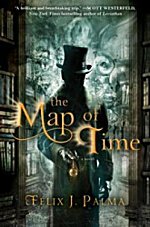 The phenomenal international bestseller set in Victorian London with characters real and imagined, The Map of Time is a page-turner that boasts a triple play of intertwined plots in which a skeptical H. G. Wells is called upon to investigate purported incidents of time travel and to save lives and literary classics, including Dracula and The Time Machine, from being wiped from existence. What happens if we change history? Félix J. Palma explores this question in The Map of Time, weaving a historical fantasy as imaginative as it is exciting—a story full of love and adventure that transports readers to a haunting setting in Victorian London for their own taste of time travel. See what I mean about June being loaded with books that scream to be read? Which ones did you add to your own wish lists? Do tell! Great mix of titles from cozy to heavy! Lots of goodies on that list! Enjoy! I've got Breaking Silence on hold already! Looking forward to it. I've heard Sister is fantastic! Can't wait to get my hands on it! Ah, so many of these are just lovely to anticipate. The new Walt Longmire book, SISTER, the one about Edna Ferber, and the one by S.J. Bolton. Such a nice list. 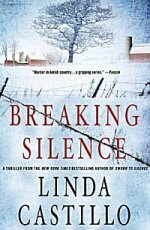 I've already read BREAKING SILENCE and I am a big fan of Linda Castillo. Hope everyone likes it as much as I did!! Ah, summertime and the readin' is easy. I like to read light books in summer, then get into history and heavier things in Sept. Some of these look really good. 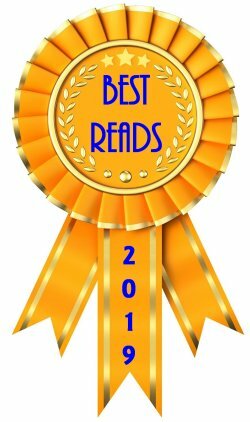 Beth-- June is a great month for books! Kaye-- I know I'll be enjoying a few of them; hopefully, I can get my hands on the rest! Jill-- Sister is fantastic. I'm in the middle of writing my review! Kay-- The New Walt is at the top of my list. Hell Is Empty (I like Walt) and the S.J. Bolton are going on my list! Jenclair-- I can't wait to read Walt, and the Bolton is very, very good! Pepper-- I know. It never ends, does it? 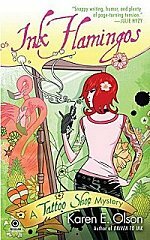 I can't wait for Ink Flamingo's myself. I've already got my copy..but will probably end up reading it towards the end of the month since I just finished the previous book in the series. Kris-- I try not to read series books too close together. If I do, I tend to pick up on idiosyncrasies that lessen my enjoyment of the series.